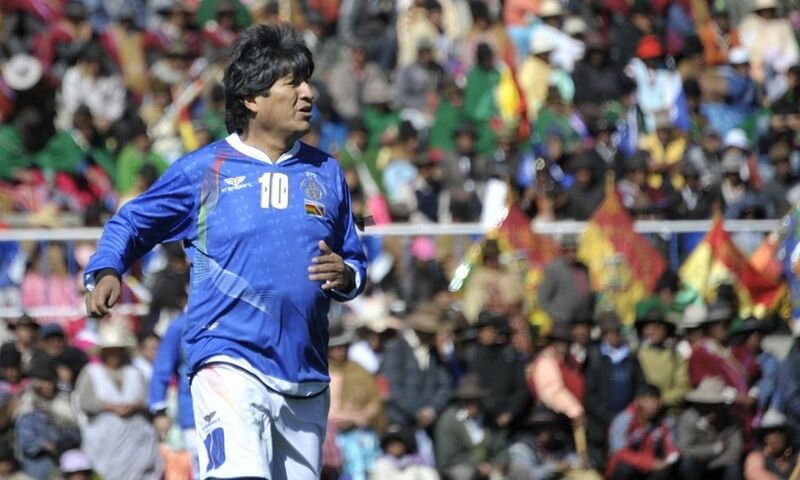 Evo Morales, an over 50 and overweight football player, made it on the team of Bolivia’s first division football club, Sport Boys Warnes. How did the country’s president become a professional footballer? With immense curiosity, I rode to a Sport Boys game outside Bolivia’s economic centre of Santa Cruz, to talk to the club’s president, coach, local reporters and supporters about Morales’s skills on the pitch. And despite not being able to see the president play as we had originally hoped, we still managed to collect an enticing story of what brought Evo Morales to the field.